Children act fast, and so do poisons. Are the toxic items in your apartment secured safely high above and out of sight? The third week of March was declared National Poison Prevention Week in 1962 by President John F. Kennedy. Why? To raise awareness about the fatal dangers associated with accidental poisonings. Poisoning in the leading cause of injury-related death in the United States, and can easily be avoided by taking a few small steps towards safety. 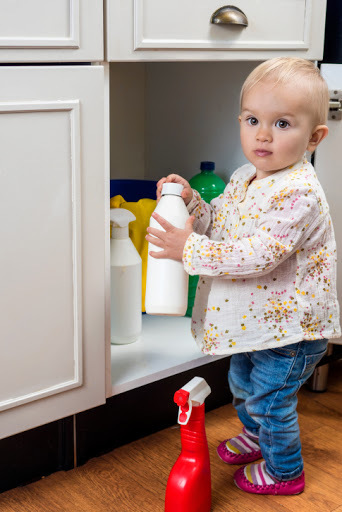 This year, National Poison Prevention Week is March 20-26. At The Apartments of Wildewood, we hope to enlighten you about apartment safety measures that will prevent future poisonings. Is Your Apartment Poison Safe? Once you have done a thorough inspection of your apartment and identified the presence of potentially hazardous items, be sure to remove or relocate the items to a safe location. To ensure safety, store all potentially hazardous items securely up, away, and out of reach of young children and pets. Did you find medicines in your apartment that expired or no longer needed? Medicine safety plays a critical role in poison prevention. You can safely dispose of medications by utilizing the St.Mary’s Drug Drop Off Initiative 24 hours a day, seven days a week. This entry was posted on Monday, March 21st, 2016	at 7:58 pm	. Both comments and pings are currently closed.